Holiday discounts: Save 20% off webinars, 57% off printed Lovefraud books! Give yourself the gift of education and healing this holiday season with webinars and books from Lovefraud! 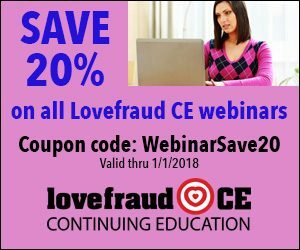 Save 20% on Lovefraud Continuing Education webinars! Courses for survivors help you understand how you became involved with the sociopath, how to extricate yourself, and how to recover. 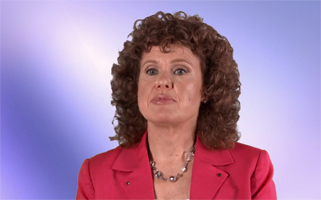 Courses for therapists offer continuing education credits for psychologists and social workers. Plus, when you earn 8 CE credits with Lovefraud, you get a free one-year listing in the Lovefraud Professional Resources Guide. 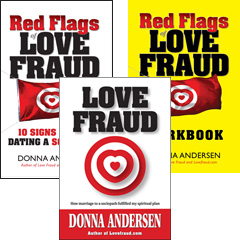 Save 57% on Lovefraud printed books! ‘Alertas Rojas de Estafa Amorosa’ ha sido seleccionado para ‘Mes Indie’ en Amazon! Amazon quiere celebrar el fenómeno de la autopublicación por todo lo alto, por lo que estan organizando el “Mes Indie”, una promoción especial de libros Kindle en español que celebran mundialmente del 1 al 31 de octubre. 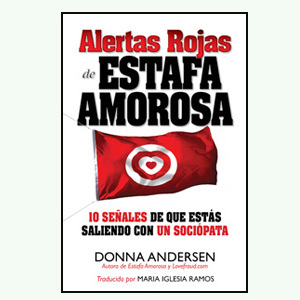 “Alertas rojas de estafa amorosa — 10 señales de que estás saliendo con un sociópata”, por Donna Andersen, ha sido seleccionado para la promoción. Este libro revela, por primera vez, las tácticas de los depredadores sociales que buscan relaciones sentimentales no por amor, sino para explotación. Este libro explica cómo los sociópatas seducen a sus víctimas, por qué es difícil escapar de las relaciones, y cómo las personas pueden protegerse. 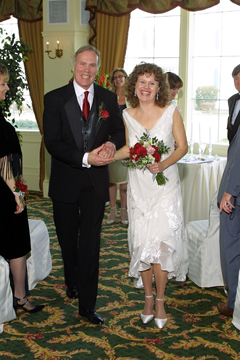 Donna Andersen and Terry Kelly married on February 12, 2005. We are still happy and in love. In the course of our two-and-a-half-year relationship, my sociopathic ex-husband, James Montgomery, took $227,000 from me, cheated with at least six women, had a child with one of the women, and then, 10 days after I left him, married the mother of the child. It was the second time he committed bigamy. Once I learned the truth about his behavior, and realized the depth of his deception, I was totally, completely, crushed. But if I hadn’t been shattered by the sociopath, I would not have been able to love as I do now. Anniversary Sale: All 3 printed Lovefraud books, 57% off! Lovefraud.com launched in July 2005, so we’re celebrating 12 years online! In honor of our anniversary, you can buy all three of Donna Andersen’s printed books for $24.50 — a savings of 57%. This self-help book reveals, for the first time, the tactics of social predators who pursue romantic relationships not for love, but for exploitation. You’ll learn how sociopaths seduce their targets, why it’s hard to escape the relationships, and how you can protect yourself. Holiday sale: Buy one Lovefraud printed book, get a second copy FREE! Give the gift of knowledge, understanding and healing to yourself and a friend! For the holiday season, when you buy one Lovefraud printed book, you’ll receive a second book for free! Two copies for $15.95 you save $23.95! Red Flags of Love Fraud reveals, for the first time, the tactics of social predators who pursue romantic relationships not for love, but for exploitation. You’ll learn how sociopaths seduce their targets, why it’s hard to escape the relationships, and how you can protect yourself. Anniversary sale: Buy a Lovefraud book, get one free! Lovefraud.com launched in July 2005, so we’re celebrating 11 years online! In honor of our anniversary, you can buy two of Donna Andersen’s printed books for the price of one. This book reveals, for the first time, the tactics of social predators who pursue romantic relationships not for love, but for exploitation. You’ll learn how sociopaths seduce their targets, why it’s hard to escape the relationships, and how you can protect yourself. 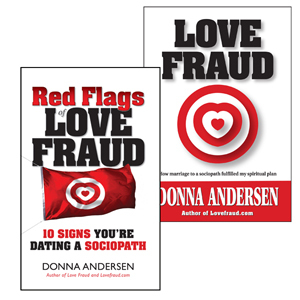 Editor’s note To Lovefraud’s Spanish-speaking readers We are giving away five copies of the new Spanish translation of ‘Red Flags of Love Fraud 10 signs you’re dating a sociopath.’ All you have to do is promise to post a review of it on Amazon! Regalamos cinco copias de la nueva versión en español de Red Flags of Love Fraud — 10 signs you’re dating a sociopath a los lectores hispanohablantes de Lovefraud. ¡Tan solo tienes que cumplir la promesa de publicar una reseña del libro en Amazon.com! Ponte en contacto con [email protected]. How can a run-in with a sociopath be a spiritual journey? This post refers to spiritual concepts. Please read Lovefraud’s statement on Spiritual Recovery. My first book is entitled, Love Fraud how marriage to a sociopath fulfilled my spiritual plan. God is good, right? The Universe is supposed to support us, right? So how can there possibly be anything spiritual about having your life trampled by a sociopath? Last week Donna Andersen appeared on the Blog Talk Radio show, Insight into Healing. For an hour, she discussed the Red Flags of Love Fraud and other issues related to involvements with sociopaths with the host, Alexa Servodidio.